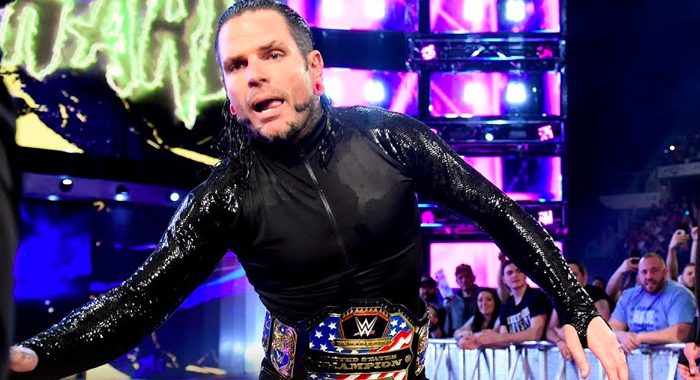 WWE United States Champion Jeff Hardy continues to deal with minor injuries. The Wrestling Observer Newsletter notes that WWE has been protecting Hardy with short Fatal 4 Way main events at live events, where he has been limping a lot. Hardy defended against Eric Young on this week’s SmackDown but the match ended up being a six-man with Hardy and The Usos defeating SAnitY. Hardy injured his leg during his entrance at the May 17th SmackDown tapings but has also been battling a nerve injury that caused numbness in his fingers. No word yet on if he will be taking any time off to deal with the injuries.